A chosen selection of Fine and Decorative art from the inheritance of an extraordinary and peculiar Italian collector, which includes, among others, Old Master paintings, Sculpture, Objects of Vertu and Grand Tour objects, Silver and Jewellery. Receive the correct estimation of inherited goods one must rely on an expert evaluator. A few clear information about the export of antiques abroad. How to sell a Work of Art? The most important aspect in the sale of artwork is the evaluation of the art and therefore the allocated price. It is essential for the art collector to insure himself against any calamity. 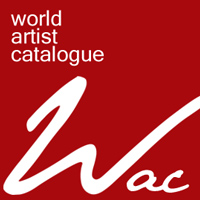 World Artist Catalogue offers all artists a means to present their works, providing potential purchasers, galleries and connoisseurs with useful information.